This professional macrobiotic training London has been specially design to qualify you as a Macrobiotic Cook and Health Adviser. The course will enable you to help people get started with macrobiotics and enjoy all the health benefits of eating healthy natural foods, meditation, exercise, positive thinking and a healthy lifestyle. All cooking and foods on this course are vegan and sugar free, with gluten free and other allergies accommodated. Where possible the ingredients are natural organic seasonal foods sourced from local health food shops. Successful students will be eligible to take the Macrobiotic Association assessment and be accredited as Macrobiotic Cook and Health Adviser. At a time stress becomes a prime source of unhappiness and illness, so many people suffer from cancer and heart disease, obesity and diabetes are rising, it is more important than ever that we learn to eat sustainable ecological foods. Now is the time to learn how to care for ourselves and through that help others to a happier, healthier, harmonious life. This course trains macrobiotic students to cook macrobiotic meals, provide macrobiotic advice and practical help to anyone starting macrobiotics. In addition students will have a strong knowledge of macrobiotics and benefit from the experience of practicing macrobiotics under expert guidance. The macrobiotic training London includes a comprehensive education covering all the key aspects of macrobiotics. The content fulfills the requirements of the Macrobiotic Association whilst the process of learning provides the real life experience of applying macrobiotic philosophy, principles and approach to life. This course is designed so you learn the content, experience life changing processes and enjoy everyday. 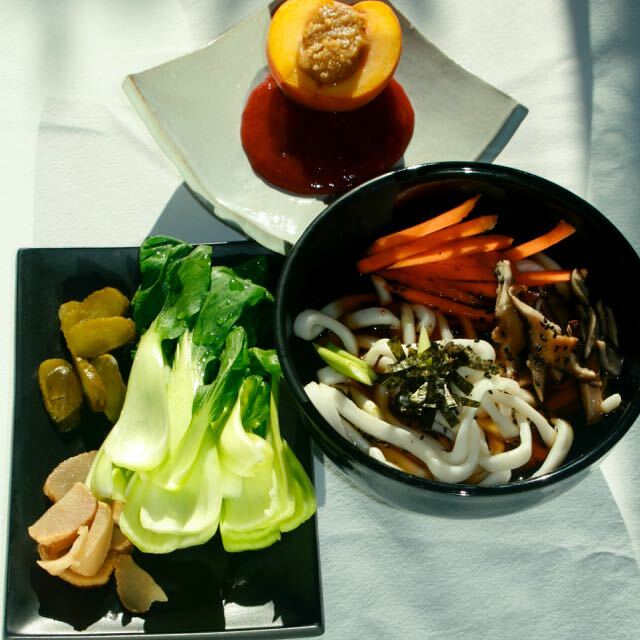 The course includes a macrobiotic lunch and teas. The principles of your macrobiotic course are chi, yin & yang, and five elements. These are very holistic models for exploring ourselves and our relationship with the world we inhabit. Once learnt they are easy to apply to a wide range of subjects including food, feng shui, face reading, body movement, meditation and shiatsu. This makes it possible to learn a wide range of subjects quickly, in one course, and be able to apply a wide range of successful and healthy changes holistically to our own lives and help others in their lives. In my experience this is when healing becomes most powerful. If you wish to take the Macrobiotic Association assessment we recommend an additional 5 day specific training with supervised practice as preparation. The course is in 14 weekends between October and May. £1975 for the first year, 28 days of training. To request the full curriculum contact Simon. This course will be restricted to a maximum of 8 students. what happens if I miss a day? Most of the time you can make up for a missed day with private tuition with Simon. If the missed days are limited to 4 days there is no extra charge. These catch up sessions can be in person or via Skype / FaceTime. You can pay the initial £175 deposit and then 6 monthly installments of £300. You deposit will be refunded in full if you cancel 1 month before the start date of the course. Once the course has started there are no refunds. In exceptional circumstances a refund may be given and this is at the discretion of the course administrator. To register for this program email Simon. Please include your full details and any previous experience in macrobiotics or related subjects. To register you will need to pay an initial £175 deposit. 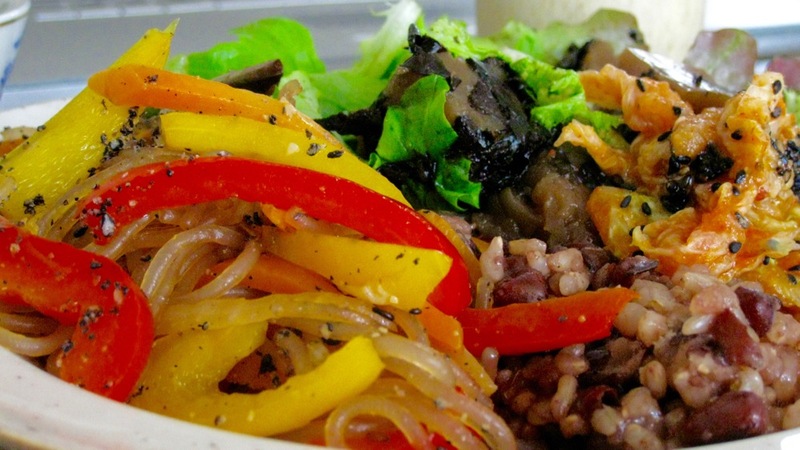 After this course you will be eligible to take the Macrobiotic Consultant Course. The following are reviews from people who have taken this course. 8 months of studying macrobiotics with Simon Brown finished today. I’ve learned so much in that time — a complete mind/body/food experience. I’m going to miss my two weekends a month learning, creating, and enjoying my days with everyone. Now time to put the cooking and coaching into practice! Thank you Simon, Tine and all the other students for being part of my journey. I’v been studding nutrition therapy and for a long time I’ve been interesting in different types of philosophies around nutrition, Macrobiotics was one of the ones that most attracted me! I’m Portuguese and was familiar with the work of a great man Francisco Varatojo, who was one of the most influents teachers of macrobiotics in Portugal, but since I’m living in London I start to search courses in Macrobiotics in London. I easily discovered Simon’s classes and I couldn’t be happier to know that I still had a place to join the course. Simon’s way of teaching and is knowledge is so impressive and easy to understand, that was always a pleasure and exciting to go to classes. We learn theory but we also practice every class, we cook our own meals and that helps to create an amazing relationship between all of students and teacher. I couldn’t recommend it more! If you are an interested in food, like to cook, want to know more about how food and mind can help to bring you more energy and happiness, macrobiotic and Simon Brown will be a great way to give you the tools you need! I’m very grateful to have had the chance to do this course and to have met Simon, he always knows how to help you grow! I definitely recommend it! After searching the internet for a vegan cookery course to improve my basic knowledge I came across Simon’s macrobiotic course. As I was already interested in energy and using it in my life especially with cooking, the course was a dream come true! I had the most spectacular time learning all that Simon had to teach me. He was inspirational, supportive and extremely knowledgable. He truly valued every person in the room. He was flexible and diverse in his approaches to teaching each individual student. I feel blessed and honoured to have been able to take part in the course and I thank Simon from the bottom of my heart for all the knowledge, wisdom and insight he has given me for my own life and for the lives of others. I am able to adjust my own habits and lifestyles for the betterment of my health and wellbeing and I also now have the knowledge and passion to be able to that for others too. I am currently teaching macrobiotic cooking classes and I am hoping in a short time I am able to open a wellbeing cafe to further share what I have learnt. I would definitely recommend Simon’s course to any one with even the slightest interest in macrobiotics, healthy cooking, improving well being and learning how to achieve a holistically balanced lifestyle. I wish I all my teachers at school were of the calibre that Simon is; He knows his subject knowledge inside out and introduces it in a very clear and progressive way. He was quite insistent that we covered the course content and that we proved that we had absorbed the knowledge by leading a series of activities. However his relaxed, encouraging and non judgemental manner enabled me to complete the course and leave with so much confidence and inspiration to follow my “life path”. He also has a wonderful capacity to produce a “nurture group” among students on the course. Don’t think about it…. Put your name down and do it! On the first day of our macrobiotic training Simon put all of us at ease. His non judgmental open and patient demeanour made me feel at home. The students bonded well as Simon encouraged everyone’s opinion as a possibility. It helped me share my views. We covered different forms of energy, yin yang, body types and ways to balance our body, mind and vitality. We focussed on being present by increasing mindfulness during eating, cooking, drinking and almost all aspects of way of life. Simon never got perturbed, I remember a mishap during someone’s demonstration, however Simon kept his cool and showed us how to remain calm in real life dramas. These qualities most certainly helped me with my patience. I had been wishing to write a book and spoke to Simon about it. He graciously agreed to help me with my debut book: Faith & True Love – Journey to Inner peace, which has now been published. I have benefitted immensely with Simon’s macrobiotic course as it opened me to many possibilities. His sincere advice and holistic approach has been invaluable. I recommend this course to who so ever wishes to broaden their horizon and discover their strengths. Thank you Simon for my journey from the course to my maiden book; Faith & True Love – Journey to inner peace. I first started with the macrobiotic diet many years ago, then life happened and I took a different pathway, but the idea of macrobiotics stayed with me as it was a life changing experience. After all these years I decided it was time to go back to macrobiotics and take a step forward, so last year I signed up for Simon’s Macrobiotic course. 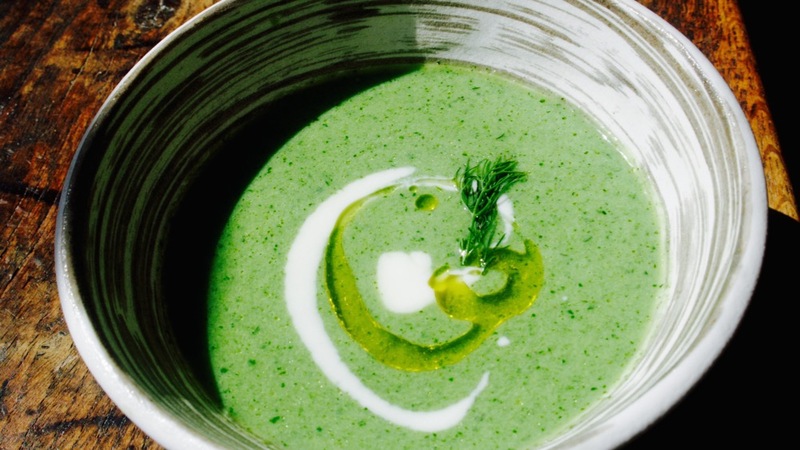 I wanted to learn how to cook and present macrobiotic food in a beautiful, creative way. My aim was to be able to get others to enjoy the food and at the same time improve or maintain their well being. What I achieved during the course was this and much more. We would start the teaching day with a tea ceremony/meditation to be followed by lectures on Macrobiotic philosophy including the five elements, yin and yang theory, nutrition, acid/alkaline balance, to mention some of the subjects during the course. Then we would cook lunch guided by Simon´s experience to create and enjoy a meal full of colour with new flavours and textures. During the course I developed the idea of a Macrobiotic Catering at a Dance Festival near Barcelona during the Summer. I felt totally supported by the group´s generosity and wise advice. I must say this experience at the festival was a great success. Thank you all!!!! At the moment I am looking forward to start the second year in Macrobiotics. I completed Simon’s Macrobiotic Training last summer. At the time I attended the course (in 2013) I was already on my spiritual journey. With the Macrobiotic understanding of nature and human nature, and with the Macrobiotic diet my spiritual journey speeded up enormously. I was flooded by different ideas. They opened me up and rised me higher and higher. Only a year has passed since the end of the course, but it has been incredible. I decided to share my wisdom and support other people’s spiritual journeys. I have now written a book that was created from this dedication. Whilst I was writing a short introductory talk on macrobiotics recently, I realised just how much I have learned about the subject! So much more than a diet, macrobiotics is a way of life, a large life! Unrestrictive and flexible, a journey of self-awareness more than anything. Simon’s ever pleasant, loving and non-judgemental manner made it a joyful journey to undertake. If you’re curious as to how to easily change your life for the better I definitely recommend spending some time with Simon. The Macrobiotic Cook and Health Adviser course is a path that will take you through every emotion, feeling, past, present and future of yourself. You will analize every bit of yourself with Simon’s help who will guide you kindly and sincerely. Here you will learn that your health is not only based on the diet, but your mental and emotional states, that are as important as the food you have in your plate. You will also learn how to cook tasty and healthy dishes. Overall it is a very complete course where you will enjoy a fantastic atmosphere and learn how to look after your whole you. It is priceless. Thank you very much Simon. I loved getting to know a very diverse mix of people and learning from each other. 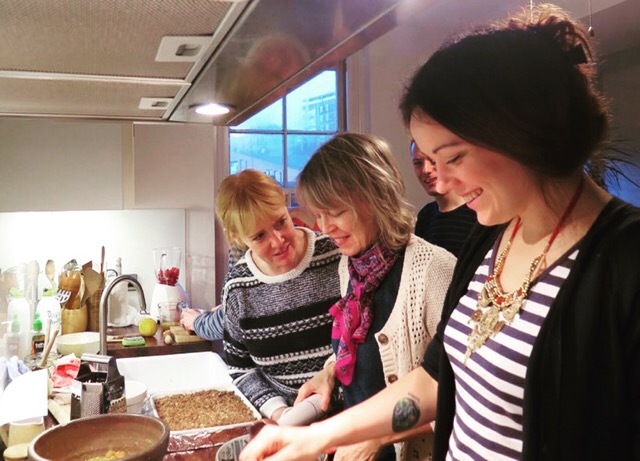 I really enjoyed cooking together and deepening my understanding of macrobiotics. Some of the philosophical discussions were amazing. Learning not only from Simon’s wisdom but also other very different perspectives. I noticed myself and the other students open up to different possibilities during Simon’s macrobiotic training. We all came with strong opinions and learning. It was very liberating to recognise that two opposing opinions can co-exist in harmony. I felt very free not needing to be right or wrong. Before, I think I was stuck in my beliefs. I realise that each of two conflicting ideas can be helpful for different people in different situations. I learnt how to use new ingredients, combine foods, appreciate new flavours and find out more about the nutritional value and energetic quality of foods. As a group we explored all kinds of cuisine based on the different cultures of the people in the group. My four children have embraced macrobiotics and in a way we have learnt together and experimented with healthy eating. They have reflected how much more energy they have and much better they feel. Even their friends enjoy it. I use macrobiotics everyday and it has been very useful for my coaching clients where they want to focus on fitting healthy nutrition into busy lives, particularly with children. The feng shui part of the course has been really helpful with a Sleep Project I am working on. The macrobiotic training London with Simon has been an incredible journey. I decided to take the class as I was interested in learning more about natural healthy food, but I didn’t know exactly what to expect. It turned out to be an inspiring path of awareness, of discovering and appreciating, of tasty meals, tea ceremonies, new friends and much more. Every weekend I was pleasantly surprised to learn something new and exciting, to meet different interesting people and to cook fantastic healthy food together. I loved learning about the five elements, yin and yang, nature’s cycles and how all those reflect on and influence our life. I discovered a lot of new ingredients and their effects, and I also met some unique friends. Simon is a wonderful and fun teacher and the course was a special moment to learn and enjoy. I’m in a completely different place from where I was before I started the course, Macrobiotics initiated a wonderful transformation in me and inspired me in many unexpected ways. Now I’m including this new fresh approach into everything in my life and into my creativity, and I’m excited for all the new possibilities it’s bringing. When I decided to signed up for a Macrobiotic Training London I did not expect my world to change as much as finally happened. All I wanted: to learn how to cook healthy food to improve my physical condition to keep fit in any circumstances. I learned all that, but also something more important happened: through the very positive and conscious people in the group, with a warm supporting atmosphere and through Simon’s outstanding leading of the group, I experienced how my emotions transformed: my heart opened up, the trust took over the place from afar, my confident increased. This emotional change opened up my mind as well and so many inspiring ideas have found me, that I am still in a state to find a place for them in my life and find out how I can use them in the practice. I am very grateful to Simon and all to my friends in the group for a very happy, lively and powerful time which made me possible to arrive to a higher level of conscious life. I started the course as I wanted to improve my own health and that of my family and having already read one of Simon’s books alongside many other health books I decided it was macrobiotics I wanted to explore. I thought I would be learning how to cook delicious macrobiotic meals and gain a better insight into whole foods as well as learning about new foods that I had no idea how where to start with, and I did just that alongside so much more! From calming meditative tea ceremonies, five element theory and connection therapy to gaining new friends and an understanding myself and what works and what doesn’t work for me. The course has opened me up to so much possibility in life that I didn’t even consider before. Coming from the business world the weekends were a totally refreshing change. I’ve cooked for family and friends who have all loved the food and didn’t realise macrobiotic meals could be varied and enjoyable and they could even have dessert! Simon is a knowledgeable but most of all supportive teacher who helps you in a caring manner from start to finish and beyond the ten month course. It’s only been a couple of month’s since we finished the 2013/14 course and I’m missing my weekend retreats already. I am very glad I decided to take this Macrobiotic Training London with Simon Brown. He is a very wise man and he has so much knowledge not only about Macrobiotics, but also Shiatsu, Meditation, Stress Management, The Five Elements, Chinese Medicine among others. One of the things that I learned with Simon that I treasure the most is how to listen to other people without being judgmental. There is another lesson that I learned in our classes that I value a lot: I started being each day more and more aware of my body, my thoughts and the environment. With meditation now I am able to live in the moment and this concept is something that I was presented to during one of our sessions. This is something that I will never forget. I only have to thank Simon for being so patient, so calm and so open to discussion. In his own way he showed us how to be passionate about natural food and the others in the group and I truly believe that it is why we became so close to each other and keep getting together to cook and to learn from one another. Where to begin with my year with Simon on his Macrobiotic Training London? It was a life-changing experience, subtle but real and profound at the same time. My monthly 3 day weekends with him provided a little holiday from life during which time I learnt about the history and philosophy of macrobiotics and all that that entails. We covered a multitude of topics in our little group from yin and yang to acid and alkaline to the 5 elements. We learnt about nourishing the soul as well as the body with the use of tea ceremonies, meditations and shiatsu massage. Each day would provide an opportunity for cooking which became more and more creative as we gained in confidence during the year and learned more and more about traditional macro foods and their healing impact as well as their energetic impact on the body. I end the course with 8 new friends, with a nourished soul, a new found confidence and of course a greater understanding of the macrobiotic way of life. I am only sad it’s all over. 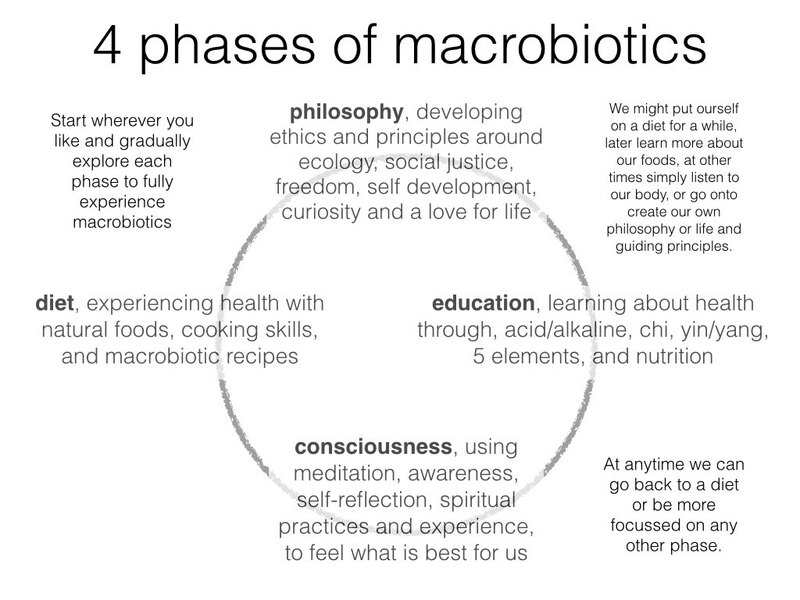 I really enjoyed learning about Macrobiotic with Simon Brown. The course was taught in a very open and accessible way, which was very engaging and inspiring. It was one of the most enjoyable courses I have been on and I learnt a lot, I already miss to come to Simons classes. I met wonderful and friendly people in the course, they were happy to share their knowledge with each other. The course has inspired me so much to help people in todays life! I heard from one of my friends that using Macrobiotics we could treat people with food. It was a great news for me. So I started my studies of Macrobiotics with Simon Brown in September 2010. I just love to say, without Simon’s help, I wouldn’t be here and happy. I am so proud to be his student. He taught me so many thing. He gave me confidence and showed me how learn though questioning life. Macrobiotics is for me like putting everything together. Now I have opened a Macrobiotic studio near Seoul. I am cooking, baking, teaching, counselling, and massaging people. Also, I am cooking for a group of people at a retreat centre. In Korean macrobiotics is still new but I am doing well and I feel it over the moon about it! Many thanks Simon for your teaching giving me a chance to learn Macrobiotics.